Few mainstream compact cars can match the Mazda 3’s enviable blend of everyday practicality, commendable fuel economy, and athleticism. 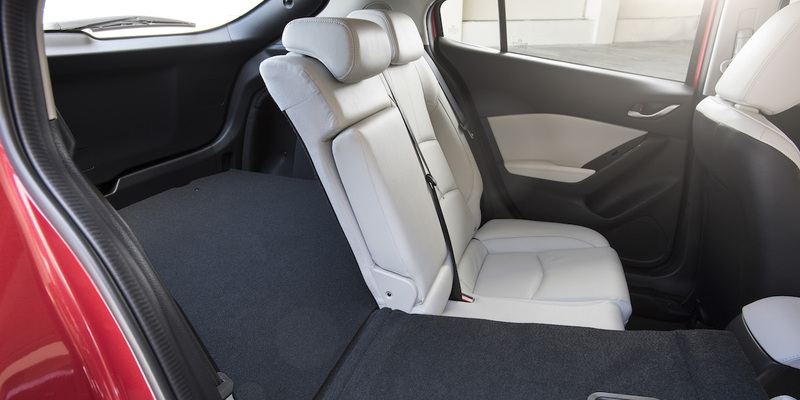 Acceleration with the base 2.0-liter engine is middling, the rear-seat space is tight, and the ride is somewhat stiff with the available 18-inch wheels. 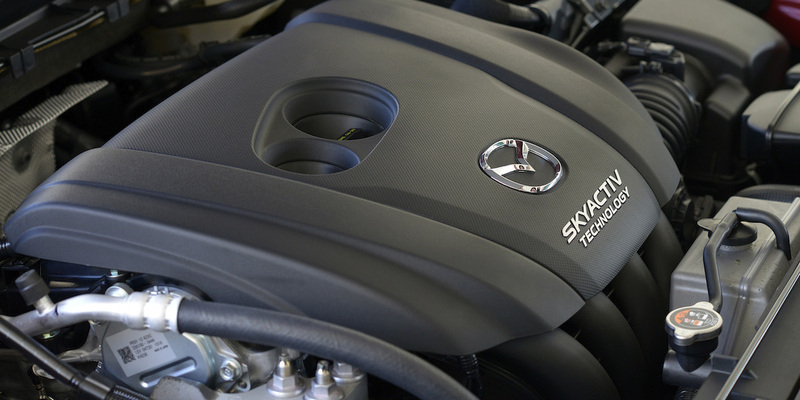 The Mazda 3 utilizes Mazda’s full SKYACTIV suite of technologies, which include engine and transmission enhancements and lightweight body architecture, in the aim of increasing fuel efficiency. 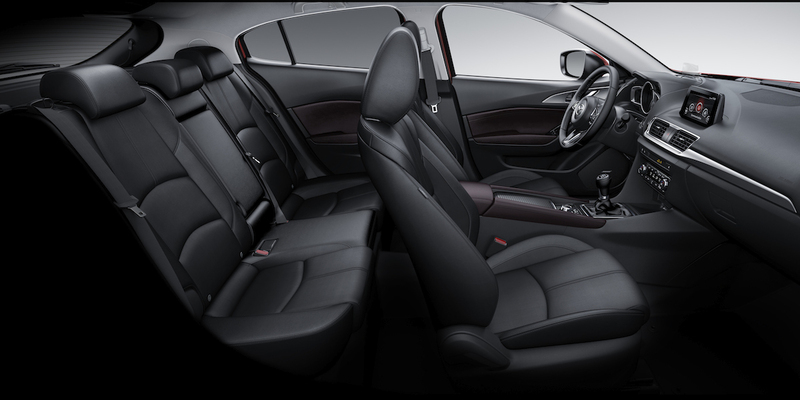 The Mazda 3 is Mazda’s compact car. It comes in 4-door sedan or 4-door hatchback form with a choice of two engines. 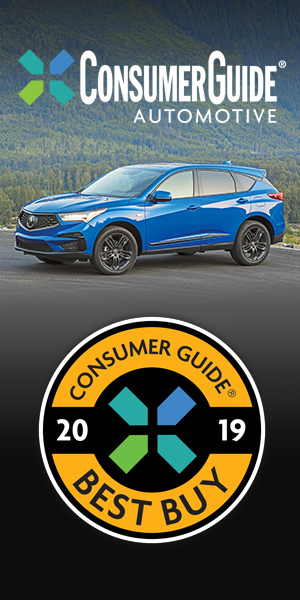 Base Sport and midline Touring models are powered by a 155-horsepower 2.0-liter 4-cylinder, while top-line Grand Touring models and the hatchback-only Touring 2.5 model have a 184-hp 2.5-liter four. Both sedan and hatchback models sport swoopy styling; the hatchback has a rakishly sloped rear roofline that looks sporty, but compromises cargo capacity somewhat. 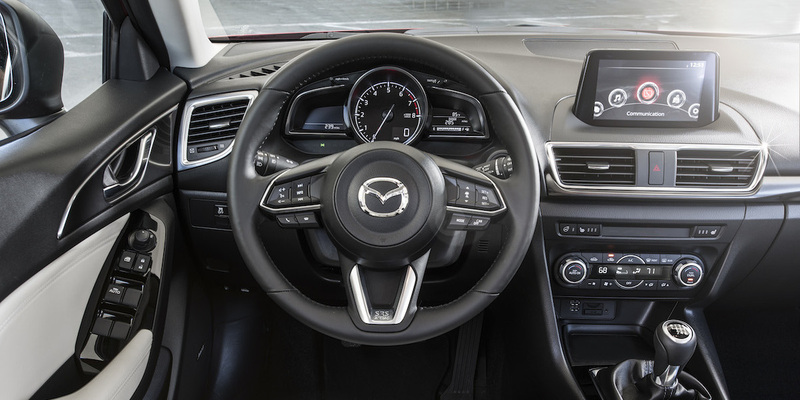 Among the Mazda 3’s uncommon-for-the-class available features are heated power side mirrors, adaptive headlights, adaptive cruise control, and a unique heads-up display that powers up from the dashboard. 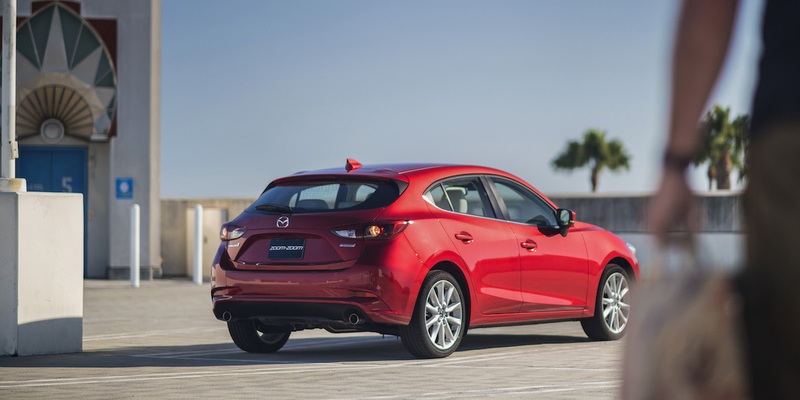 The Mazda 3 sees several detail refinements for 2017, and now comes standard with Mazda’s new G-Vectoring Control—a technology feature that varies engine torque in response to steering inputs to improve handling and ride quality. Advanced Blind Spot Monitoring and Traffic Sign Recognition are newly available, and Mazda says sound insulation has been improved for a quieter cabin. Among the other enhancements are a standard electronic parking brake; available heated steering wheel; exterior styling revisions that include available LED headlights and taillights; and interior updates such as larger door pockets and a sliding center-console cover. The EPA rates the 2.0-liter Mazda 3 at 27 mpg city/37 mpg highway with the manual transmission and 28/37 with the automatic. 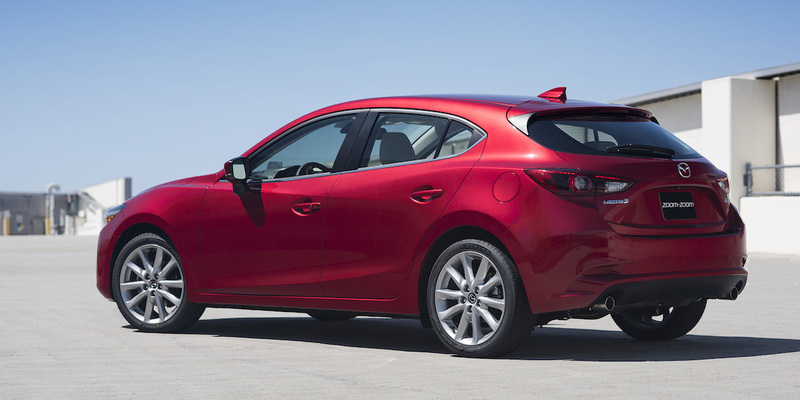 Mazda 3s with the 2.5-liter engine are rated at 26/35 with the manual and 28/37 with the automatic. 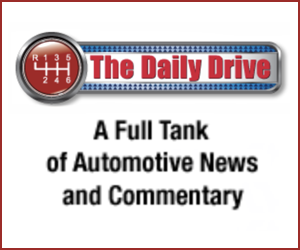 In Consumer Guide® testing, an automatic-transmission Touring sedan averaged 32.0 mpg, and an s Grand Touring hatchback with the 6-speed manual averaged 24.9 mpg. Both tests consisted of mostly city driving. 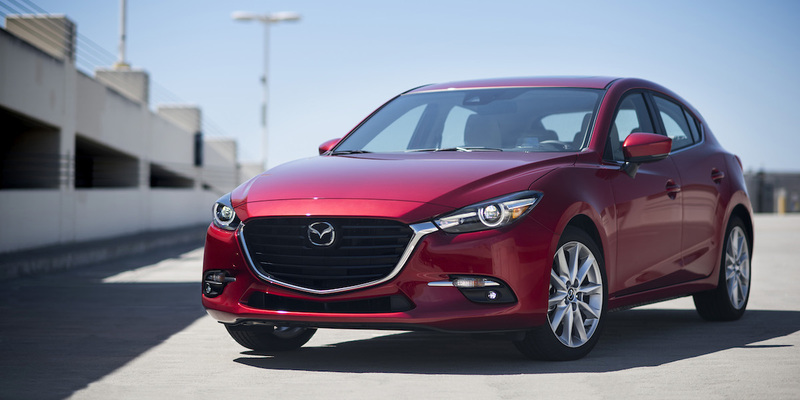 The Mazda 3 can stand toe-to-toe with most compact cars in terms of comfort, affordability, fuel efficiency, and safety/technology features, but it also delivers an engaging driving personality that few vehicles in its class can match. 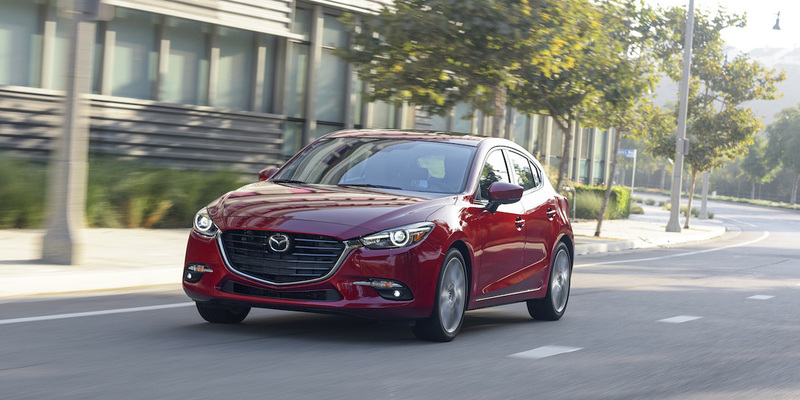 If you’re looking for a compact car that’s as satisfying on twisty roads as it is in the daily grind, a Mazda 3 should definitely be on your shopping list. AVAILABLE ENGINES 155-Hp, 2.0-Liter 4-Cyl. ; 184-Hp 2.5-Liter 4-Cyl.